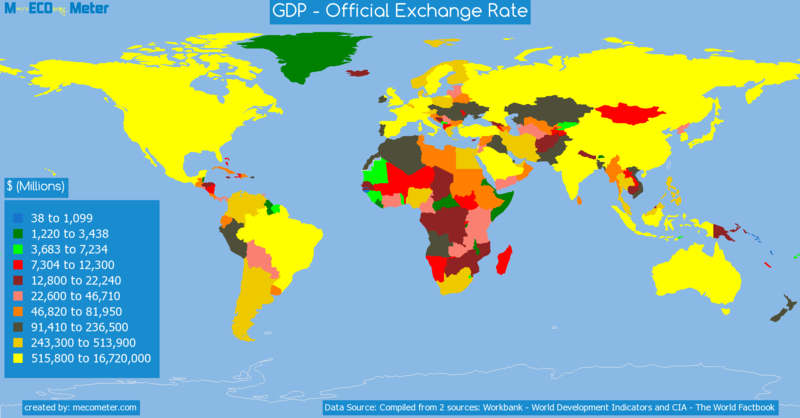 Value & RankThe GDP - Official Exchange Rate of Netherlands is 722 ( billions of $) with a global rank of 18. 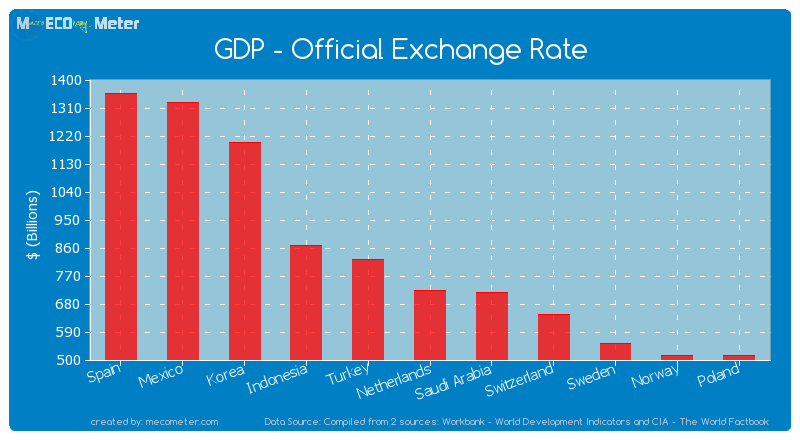 Netherlands compared to other CountriesThe GDP - Official Exchange Rate of Netherlands is similar to that of Spain, Mexico, Korea, Indonesia, Turkey, Saudi Arabia, Switzerland, Sweden, Norway, Poland with a respective GDP - Official Exchange Rate of 1,356, 1,327, 1,198, 868, 822, 719, 646, 552, 516, 514 ( billions of $) and a global rank of 13, 14, 15, 16, 17, 19, 20, 21, 22, 23.10 years growthNetherlands's GDP - Official Exchange Rate had a positive growth of 34.2 (%) in the last 10 years from (2003 to 2013). 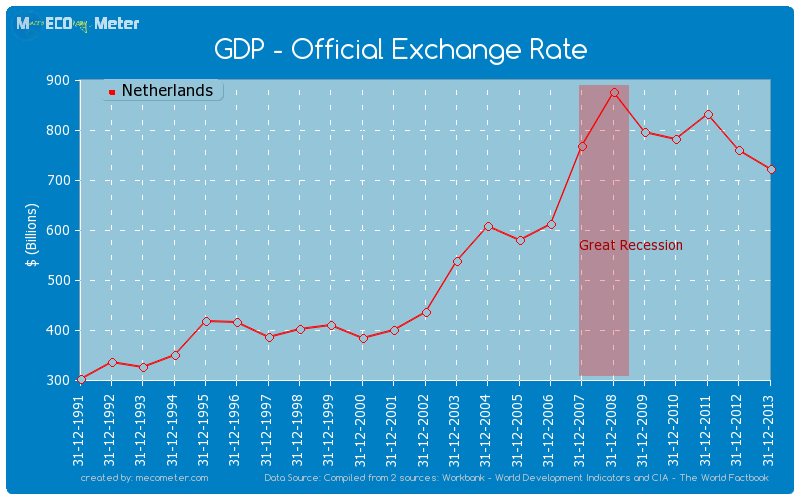 Last 10 years averageNetherlands had an average GDP - Official Exchange Rate of 717 ( billions of $) in the last 10 years from (2003 to 2013).